For over 30 years, Tapper’s has been the destination for understated elegance in marking life’s most important moments. The opening of this satellite flagship was a major step in their development in extending the hospitality, sense of style and range of exclusive brands to an unfamiliar audience. The new store occupies a site at the major intersection of the center’s expanded fashion wing; enjoying prime sight lines from the mall’s adjacent upscale neighbors. 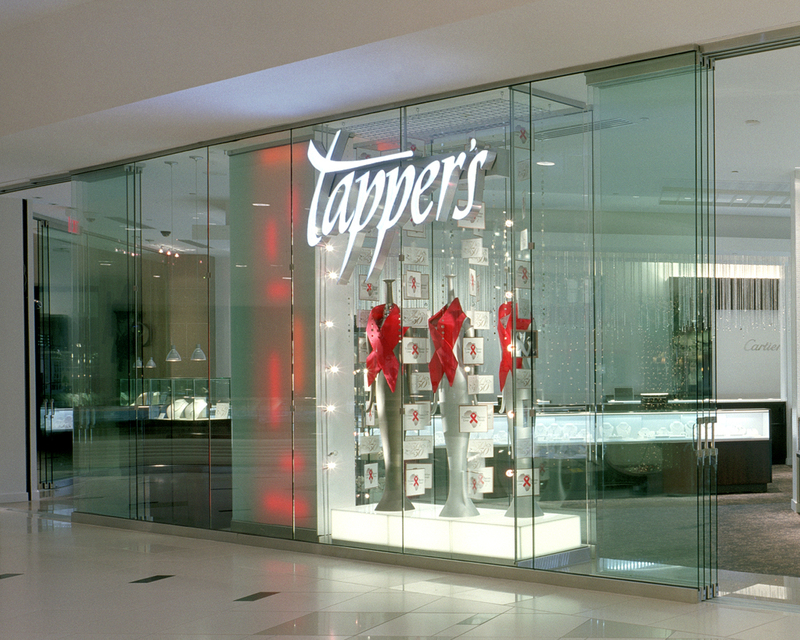 Tapper’s is positioned as a veritable jewelry box of product, experience and features. The unique configuration of the cases allows for on-floor servicing of most transactions, keeping the store associates on the sales floor and at the point of transaction, connecting with the guest from greeting to thank you.